Would you like to become a TSWF member? Jiddu Krishnamurti (1896 - 1986). 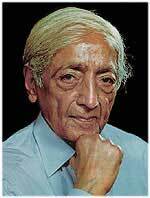 This server provides an information resource on Jiddu Krishnamurti (1895-1986) and his teachings. Krishnamurti is known as a world teacher who rejected organisations, religions and beliefs. 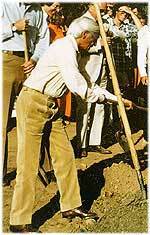 The server was established in close co-operation with the Krishntimnrti Foundation Trust, Brockwood Park, England. You may also find further information on Krishnamurti and his teachings at the Krishnamurti Foundation of America and at the Fundacion Krishnamurti Latinoamerica. Disclaimer: The information offered here is not meant to worship, proselytize or mentally systemize Krishnamurti as a person or his teachings in any way or being some kind of a helping vehicle in a psychological way. It is solely mean! as an informational center of material and as a tool to get in contact with others. If you feel this is not met please write to the maintainer of this server.